As is always the case, the 2019 Toyota 4Runner represents the pinnacle of utility on the lineup. 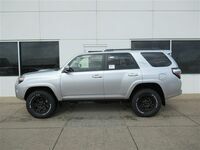 One of only two true sport utility vehicles remaining, the 2019 Toyota 4Runner in Moline IL keeps the class alive and thriving with its blend of versatile utility and off-road capabilities. Whether you’re looking to hit the trail with all your gear or haul a boat down to the harbor, you can rest assured that the 4Runner is going to get you there. But more than simply get you there, it’s going to deliver a fun experience each and every time. Obviously, you’re going to have fun traversing a bed of rocks to get over the next hill, but you might not expect the trip to the grocery store to deliver a heavy dose of fun too. Behind the wheel of the 4Runner, each trek can be a fun-filled ride, no matter where you’re headed. 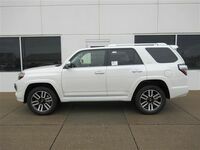 Utility is one of the most important aspects of an SUV like the 4Runner, and this SUV has it in spades, starting with the second row of seats. With 40/20/40 fold-flat seats in the second row, you can split up your cargo area to accommodate exactly what you need to bring with you, bring along more cargo than would fit behind it while still having someone in the back seat for instance. Some 4Runner models even offer a third row of seating if you know you’ll be having a lot of passengers on occasion, and this row will split-fold 50/50. To make things even easier for you, there are two outstanding features that make accessing your cargo as simple as possible. First, the rear window is powered just like the rest of the windows. That means you can lower it and reach through to drop off a backpack or grab a couple pieces of gear without even opening the tailgate. When it is time to pop that gate open, the sliding rear cargo deck makes accessing everything even easier as well, as you can slide it right out and see everything you’ve got much more easily. 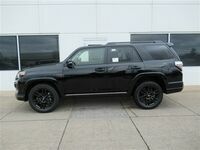 If you’re interested in an incredible 2019 Toyota 4Runner of your own, don’t hesitate to get in touch with us! 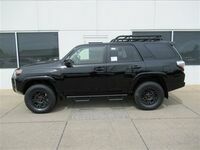 Interested in a Toyota 4Runner?